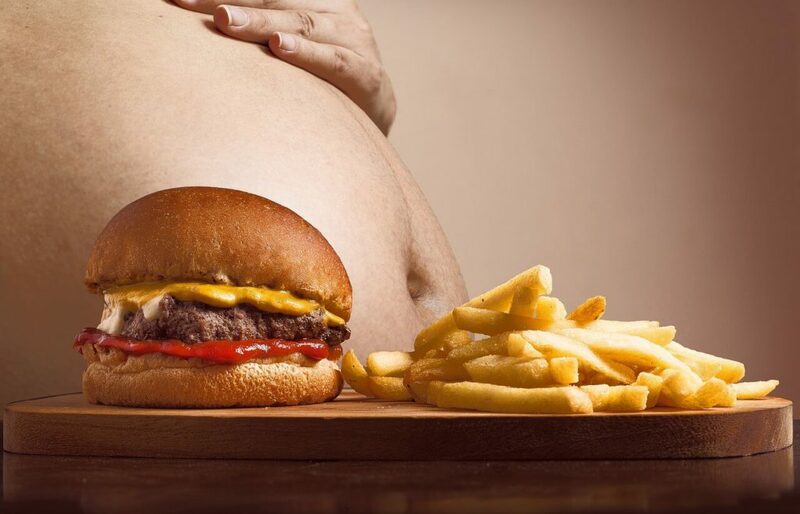 Overeating is not always a problem, but for some people it is more than a habit and can become a serious issue. Compulsive overeating is also known as binge eating disorder. 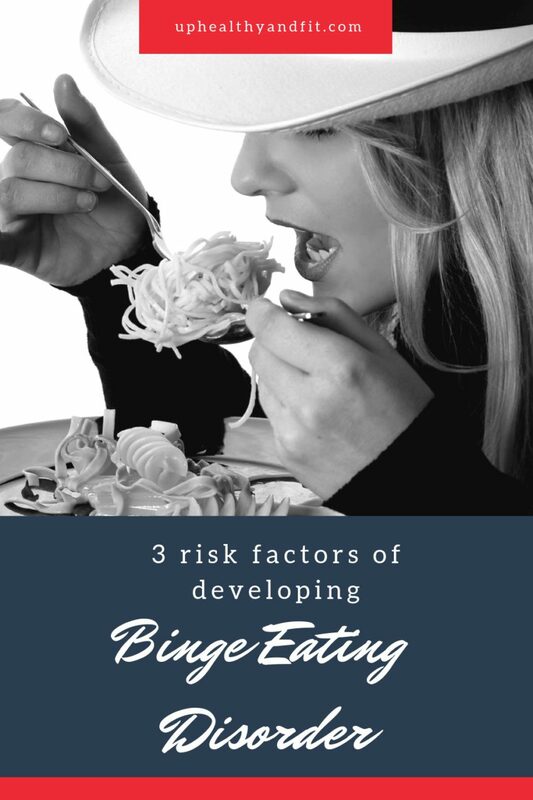 In this post I am going to cover the main risk factors, causes and symptoms of binge eating disorder. Binge Eating Disorder (BED), also known as uncontrolled eating disorder, seems to be the most widespread eating disorder among males, in fact 40% of males suffer from it; 10-15% of males suffer from nervous bulimia and 5-10% suffer from nervous anorexia. In medical literature there isn’t much research on Binge Eating Disorder in male patients, since the samples studied are female or mixed. Let’s go now into the causes and symptoms of Binge Eating Disorder. In-depth studies show Binge Eating Disorder has specific genetic interrelates, a specific socio-demographic distribution between sexes and ethnicities, and a high co-morbidity with depression, which affects 60% of these patients. The correlation between Binge Eating Disorder, obesity and attempts at losing weight is still to be defined precisely; according to a 1997 study, excess body weight and the related recourse to dieting in Binge Eating Disorders might be a consequence of the pathology, and not a risk factor as with nervous bulimia. Nowadays, Binge Eating Disorder is considered as a widespread eating disorder and it is thought to affect 2-3% of the whole adult population. Studies carried out in Italy show that the prevalence of this disorder is between 0,7% and 4,6%, whereas studies carried out in the United States show an incidence of 5% of obese people of the whole population, 10-15% of obese people who use commercial programs to lose weight, 30% of obese people looking for an obesity treatment in specialistic centers, and – in people who are going to undergo bariatric surgery- the incidence of this disorder might be more than 50 %. This disorder is thought to strike between the early twenties and thirties, even though it has been shown that failing to have control over eating habits starts before it gets diagnosed, usually before the twenties; this timeframe between the onset and the diagnosis may explain why this disorder tends to become chronic. Binge-eating disorder is more common in women than in men. 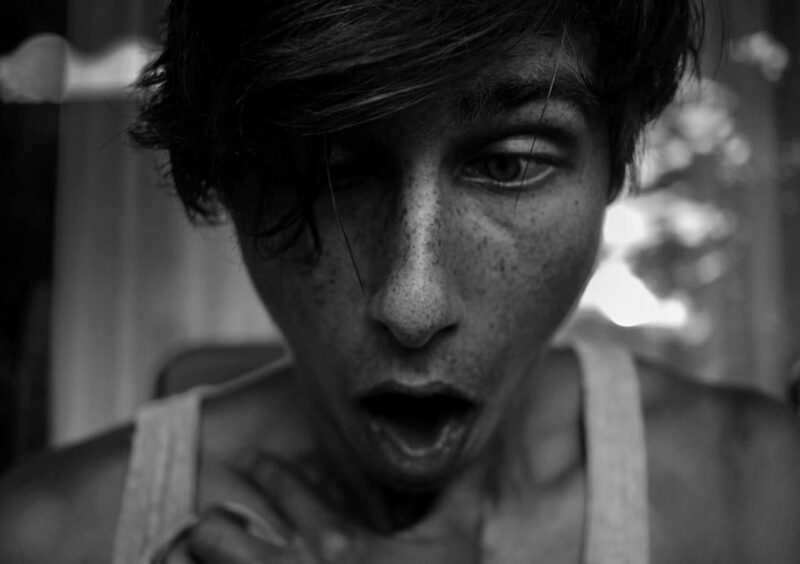 Although people of any age can have binge-eating disorder, it often begins in the late teens or early 20s. Family history. You’re much more likely to have an eating disorder if your parents or siblings have (or had) an eating disorder. This may indicate that inherited genes increase the risk of developing an eating disorder. Dieting. Many people with binge-eating disorder have a history of dieting. Dieting or restricting calories during the day may trigger an urge to binge eat, especially if you have symptoms of depression. Psychological issues. Many people who have binge-eating disorder feel negatively about themselves and their skills and accomplishments. Triggers for bingeing can include stress and poor body self-image. Unlike nervous bulimia, binges may represent an escape or an emotional block because of unbearable emotions, or they may represent difficulty in impulse control; likewise, Binge Eating Disorder may trigger other issues such as alcoholism, drug addiction, self-harm, kleptomania and sexual promiscuity. Not much research has been carried out on genetics in Binge Eating Disorder, but a few data show the prevalence of this disorder is higher in individuals who have a close relative suffering from the same pathology (60 %), than families in which this disorder is absent (5%). Research didn’t prove a family tendency or a notable relationship between Binge Eating Disorder and other eating or psychiatric disorders. In a study where 8000 Norwegian twins of both sexes where evaluated, Binge Eating Disorder seems to be equally affected by genetics (41 %) and environment (59 %). Hormonal factors in BED: are they important? The early studies on family lifestyle of people suffering from Binge Eating Disorder compared 43 bingers with 88 individuals suffering from other eating disorders. Binge Eating Disorder individuals were found to have less family integrity, less expressed emotionalism, less active fun, and less personal independence; vice versa, they were found to have higher levels of conflict and inter-familiar control. In the last study mentioned above, it was shown that Binge Eating Disorder individuals had a lower cultural level than the individuals suffering from other eating disorders. Among the psychosocial factors that may affect the onset of this disorder, we find dissatisfaction with bodily image or weight and frequent recourse to slimming diets. Eating unusually large amounts of food in a specific amount of time. Feeling that your eating behavior is out of control. Eating even when you are not hungry. Eating rapidly during binge episodes. Frequently eating alone or in secret. Unlike a person with bulimia, after a binge, you don’t regularly compensate for extra calories eaten by vomiting, using laxatives or exercising excessively. You may try to diet or eat normal meals. But restricting your diet may simply lead to more binge eating. When it comes to treating Binge Eating Disorder it is essential to seek multi-factorial help. Psychiatrists and nutritionists are the key professional figures to turn to in order to address Binge Eating Disorder. If you can establish healthier coping mechanisms to confront with stress, depression and anxiety, then you’ll know you are on the right path. Cognitive-behavioral therapy (CBT): A type of therapy aimed at helping individuals understand the thoughts and feelings that influence their behaviors. Interpersonal psychotherapy (IPT): A form of therapy in which the focus is on an individual’s relationships with family members and peers and the way they see themselves. Dialectical Behavior Therapy (DBT): A type of therapy that focuses on teaching patients skills to cope with stress and regulate emotions. Recent research has shown that two antidepressant drugs prove effective in treating Binge Eating Disorder: these drugs are fluvoxamine and sertraline, generally used to cure depression and anxiety, with which Binge Eating disorder seems to share a common biological link. Fluvoxamine and sertraline belong to a class of drugs called selective serotonin reuptake inhibitors (SSRIs), which put more serotonin, a mood-regulating chemical, into the body. As we can see Binge Eating Disorder can be addressed if risk factors are taken into consideration and are not underrated. Seek medical help as soon as you realize you are not in control over what triggers unhealthy mechanisms to cope with stress, anxiety and depression. Thank you for reading and if you find this article useful, please share it with your friends and leave me a comment.